My first child felt like a baptism by fire! I hold a Master’s degree in Education but could not keep my newborn quiet or content. She was strong-willed from the first breath. Her bright red hair drew the “stubborn” comments from observers and I grinned—they had no idea. 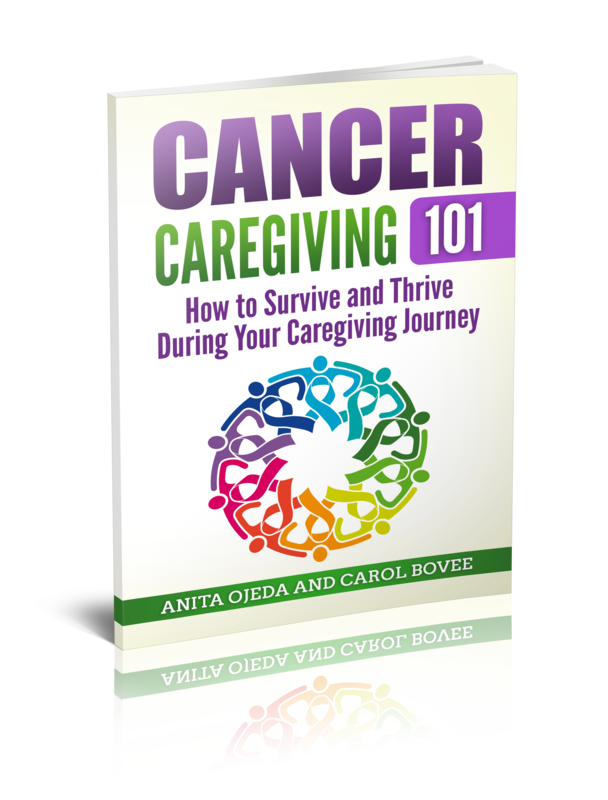 I bought a book, early in her life, about dealing with strong-willed children and depended upon my mom, who encouraged me that I was raising her right. As she grew I tried to teach her that God had granted her a strong will for a reason, and that she needed to learn to “use her stubborn” for Him. The second child was just as much of a shock as the first. While I was used to rocking the older one to sleep and dealing with her vocal nature, this second child was so opposite that I worried I was a complete failure as a mother. This one was content to watch her big sister and needed to be left alone to sleep. She came for her hugs as she needed but then went off to conquer her little world herself. My little cutie with a big blond streak in her hair had private conversations with herself regarding her life, and I marveled at her ability to smooth situations over with her humor. As she grew I tried to teach her that it was not always her responsibility to make others happy and that it was a good thing to stick up for herself now and then. Child three is a whole other story, so I won’t go there right now. You can read many other places to learn about him! But these two precious stars of this particular story are now 17 and 20 years old. My strong-willed young lady just came home from college and spent the week preparing for her next year working as a “student missionary” in an orphanage overseas. My second has just finished her 11th grade year as class president and Spiritual Vice-President for the student body association–learning to be a leader. She’s off soon to work at a summer camp for kids. They are truly completely different—still. As they grew I marveled at their differences and wondered how two such diverse little things could come from me. But I must admit to my own ability to be stubborn and acknowledge my constant desire to please the people in my life. We sang together, my two unique girls and I, on our last weekend together for maybe a year. We didn’t do a perfect job, but we discovered that we harmonize nicely, and my mom, when listening to the recording, could not figure out which of us was singing the high part, the low part, or the melody. We blended that well. Very different, strong willed and people pleasing, mother-daughter-sister combination—it all worked together. That’s the beauty I see when my girls get together. They’re so different—but they have fun together. Sometimes they drive each other crazy (and me too), but they love each other fiercely. Then there’s me—waiting and watching to see exactly who they will become and praying that God would protect and guide them to bring Him glory. I’ve learned to give up control, to give them to God, because my kids are each different from me and they have to find their own way with Him. Is it any wonder that we sang in three-part harmony, “I surrender All”? 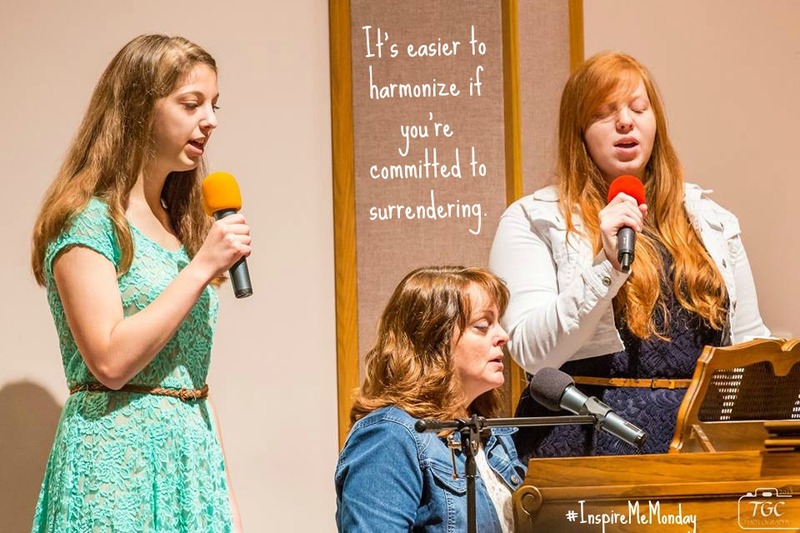 How have you discovered that there’s harmony in surrendering?